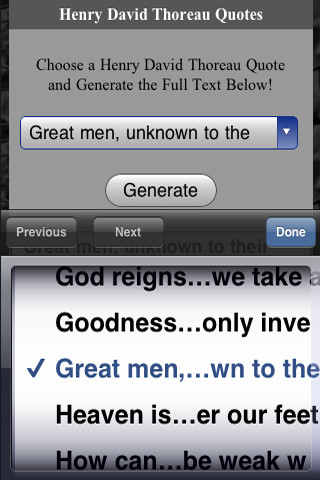 We are proud to announce a great app for those for are fans of Henry David Thoreau. 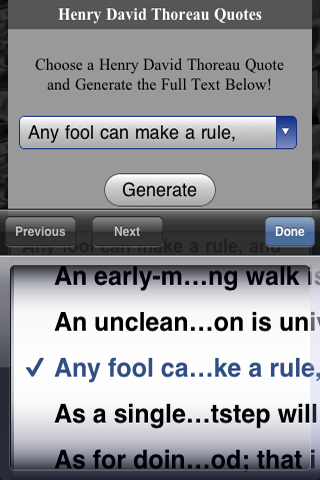 Our Henry David Thoreau Quotes Pro app uses a unique quote scrolling method for quickly sifting through our collection of over two-hundred key Thoreau quotes. 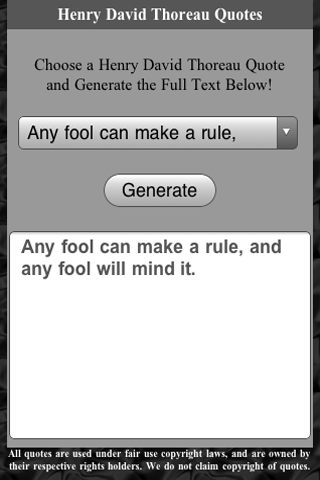 Users of our app can quickly and easily scroll through our list of Henry David Thoreau quotes, and then click the generate button to have that selected quote display to the screen. This is a truly great app for those who are fans of Henry David Thoreau and find his quotes to be an important addition to their mobile device.